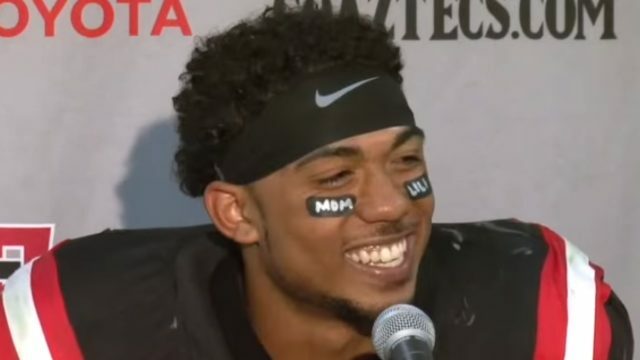 San Diego State running back Donnel Pumphrey smiles during a post-game press conference. Courtesy of GoAztecs Youtube. 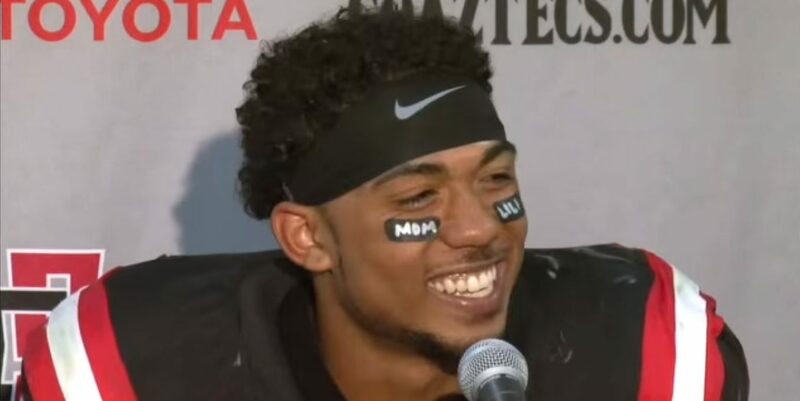 San Diego State running back Donnel Pumphrey continues to stack up awards and accolades Monday, after being named as a mid-season All-American by CBS Sports. Pumphrey is just one of four unanimous selections, joining Louisville quarterback Lamar Jackson, Michigan linebacker Jabril Peppers and Arizona State Kicker Zane Gonzalez. SDSU’s finest player has established himself as one of the all-time great college RB’s this season. As if his 11 touchdowns and nation-best 1,111 total rushing yards this season aren’t convincing enough, he also currently sits at eighth all-time with 5,383 rushing yards. With seven games left not counting a conference championship or bowl game, he’s all but a lock for top five at the least. With six games left not counting a conference championship or bowl game, he’s all but a lock for top five, possibly top three. He’s averaging 185.17 yards a game. He’ll look to continue his success Friday against San Jose State. The Spartans sit at 2-5 on the season while SDSU has started off on its best foot since 1977 with a 5-1 record, undefeated in conference play thus far.